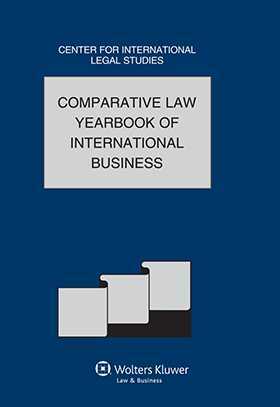 The thirty-third edition of the Comparative law Yearbook of International Business deals with specific issues ranging from arbitration, company law, and consumer protection to employment law and financial law. comprising 14 articles. A further five articles examine legal aspects of doing business, establishing joint ventures, civil and commercial obligations, and intellectual property issues in particular jurisdictions. A final article considers international development banks. Doing Business in Guatemala Alfonso Carrillo M.
You may change or withdraw your consent at any time by contacting our Customer Service team at +1-301-698-7100 or WKLRU[email protected]. For more information about our privacy practices, please refer to our privacy statement: www.WoltersKluwerLR.com/privacy.